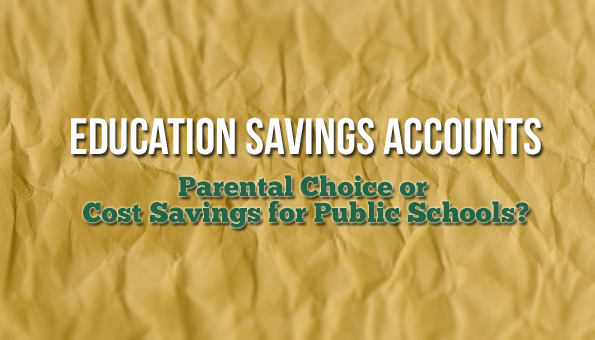 Alabama School Connection » Education Savings Accounts: Parental Choice or Cost Savings for Public Schools? Education Savings Accounts: Parental Choice or Cost Savings for Public Schools? Nearly 90,000 K-12 Alabama public school students will become eligible for Education Savings Accounts (ESAs) under HB84, which education reform groups say is about giving parents choice, but some House committee members said might help school districts save money on the high cost of educating children with disabilities. Educators and disability advocates don’t see the cost savings and don’t believe ESAs will benefit school districts at all. What is an ESA? Simply put, eligible students can use ESAs to exit the public schools and take most of their state public school funding with them. A public hearing has been called for HB84, sponsored by Rep. Ken Johnson (R-Moulton), Wednesday at 1:30 p.m. during the House Education Policy Committee meeting, chaired by Rep. Terri Collins (R-Decatur). According to Collins, the committee will not vote on the bill this week, but is expected to vote during committee next week. Collins, who supports the bill, said it allows parents who are not satisfied with the education their child is getting in a public school to use their tax dollars in the way they choose to educate their children. HB84 provides for 90%, or a little more than $5,000, of the state per pupil funding amount, currently around $5,800, to be placed into an ESA for parents of eligible students to spend on specific educational expenses, including tuition for a participating private school. Johnson, the bill’s sponsor, said it wouldn’t cost the Education Trust Fund anything because it’s money that would already be spent on educating children. Eligible students include students with Individualized Education Programs (IEPs), Section 504 plans, children in military families, and foster children. Siblings of eligible students are also eligible. More than 82,000 students are educated through IEPs requiring specialized instruction to address a child’s learning disability. During the 2011-2012 school year, 5,519 students had standalone Section 504 plans in place. It is unknown how many children are in military households or foster children in Alabama. Students with IEPs or Section 504 plans must have attended a public school during the previous year before becoming eligible for an ESA, though the bill doesn’t specify how long the child had to attend. 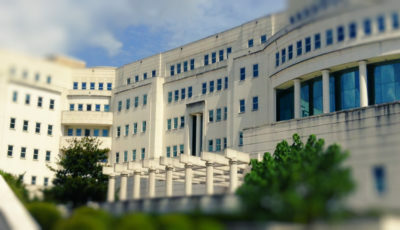 A third-party organization, similar to the state’s current scholarship granting organizations (SGOs) participating through the Alabama Accountability Act, will receive 6% of the state allocation to administer the program in the first two years, which lowers to 4% beginning with the third year of administration. The bill provides for 1,000 new ESAs to be created each academic year, beginning with the 2016-2017 school year. Parents must apply for ESA funding and applications will be approved on a first come, first serve basis. Those using ESAs are responsible for crafting a child’s education plan and agree not to enroll their children in public school (including public charter schools), though parents can contract with public schools to provide services for their child. Jefferson County School Superintendent Dr. Craig Pouncey said on Monday he opposes the bill. He said this is another example of state lawmakers redirecting state dollars that originally were intended for public school children. Though they are redirecting tax dollars to private institutions, lawmakers aren’t creating the same system of accountability for those tax dollars that they have in the private schools. The Alabama State Department of Education has no regulatory authority over what is taught in private schools in Alabama. Families home-schooling their children are not under any mandate to teach specific subjects. This bill specifies that parents who use ESA funding must “provide an education for the eligible student in at least the subjects of reading, grammar, mathematics, social studies, and science”. Under HB84, parents will be required to ensure students take annual achievement tests and must report those test results to the organization administering the ESA. After three years, those test results, associated learning gains, and graduation rates must be reported to the public, aggregated by “the students’ grade level, gender, family income level, number of years of participation in the program, and race”. The AAA provides for similar sharing of outcome results, though state lawmakers postponed public reporting of test results for an additional year in a change during last year’s regular session. The ALSDE released the list of “failing” public schools last week. Students attending “failing” schools are given priority for tax-credit scholarships to attend participating nonpublic schools. Five states currently offer ESAs: Arizona, Florida, Tennessee, Mississippi and Nevada. All are administered differently, though children with special needs are a part of every state’s ESA plan. Note, though, that students with disabilities have other options for voucher-type programs in both Arizona and Florida that existed prior to the creation of the state’s ESA. Arizona was the first to create ESAs, though they have had a voucher program for students with disabilities in 2009. According to numbers provided by the Friedman Foundation for School Choice, 2,501 Arizona students are participating during the 2015-2016 school year. The state deposits 90% of the funding that would have been provided to the district if the student was enrolled. For students with special needs, Arizona differentiates funding based on the level of a student’s disability, making the yearly ESA contribution much higher than Alabama’s proposed yearly ESA amount. Here’s more information about parent opinions on using Arizona’s ESAs. Florida officially launched ESAs in 2014, though they have had a scholarship program for students with disabilities since 1999. During the 2015-2016 school year, an estimated 4,080 students are using ESAs. Eligibility is limited to students with IEPs whose disability is one of the following: autism spectrum disorder, muscular dystrophy, cerebral palsy, Down syndrome, Prader-Willi syndrome, Spina bifida, Williams syndrome, intellectual disability (severe cognitive impairment), and kindergartners deemed “high risk” due to developmental delays. Amounts deposited to eligible students’ ESAs differ by county because the Florida State Department of Education adjusts state funding provided to counties based on the cost of living. Both Arizona’s and Florida’s ESA dollar amounts are much higher than Alabama’s proposal. The final three states adopted ESA programs in 2015. Mississippi has 275 students enrolled in the program this year and provides a flat $6,500 per student. Nevada’s program is open to all students who have attended public school and has been undergoing legal challenges and has not yet launched. In January, all forward movement stopped after a judge issued an order halting the program. Three lawsuits are currently pending against the program. 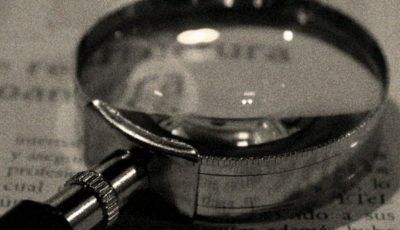 Tennessee’s program, which is due to launch in 2017, has a very limited eligibility provision, allowing only students with “autism, deaf-blindness, a hearing impairment (including deafness), an intellectually disability, an orthopedic impairment, a traumatic brain injury, or a visual impairment (including blindness)” to use ESAs. This 2012 round-up from the Alliance for School Choice shows the details of ten scholarship programs in eight states that were either voucher, tax-credit scholarship or ESA programs serving students with disabilities. Last Thursday, members of the House Education Policy Committee listened to a presentation from the Foundation for Excellence in Education’s (FEE) Adam Peshek about ESAs. Alabama’s bill is closely modeled after FEE’s. The Business Council of Alabama sponsored the lunch presentation. HB84 is consistent with BCA’s legislative agenda to “explore and advocate for policies that emphasize parental options for their children’s education”, of which ESAs are one. The Alabama Federation for Children is also supporting the bill. While Peshek clearly represented ESAs as a parental choice option, the conversation among committee members quickly shifted to how local school districts could save money if students with severe disabilities chose to use ESAs. Rep. Jim Patterson (R-Meridianville) said in his experience that many students with severe disabilities are sent to school for “daycare” and that if parents could take the money offered through the ESA they might be able to find a daycare other than the public school. “Schools are about teaching, not boarding,” he said. Patterson spent 12 years on the Madison County School Board and is a retired educator. Other committee members agreed that students with severe disabilities are expensive to educate. Johnson said that the superintendents he had spoken with said they see the possible cost savings and are supportive of the bill. Pouncey doesn’t believe parents of children with severe disabilities will choose to use an ESA. He said a recent analysis of students receiving special education in a self-contained setting in Jefferson County schools cost on average more than $24,000 per year. The $5,000 or so afforded under an ESA will be nowhere near enough to meet students’ educational needs. The School Superintendents of Alabama has not officially taken a position on the bill while the Alabama Association of School Boards opposes it. 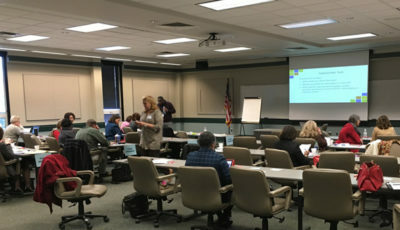 Committee members said that children with special needs put a strain on small and rural school systems who don’t have the resources they need to properly educate students with disabilities. Pouncey, who previously served as Chief of Staff for the ALSDE prior to becoming superintendent in Jefferson County in July 2014, pointed to inequities in local funding as the reason why those districts don’t have the resources to educate students with special needs. While the federal government initially promised to fund 40% of the cost of providing special education, it only provides about 17% of the cost, leaving the rest to states and local school districts. Local expenditures on special education in FY14 revealed a wide range of spending related to special education from zero dollars in Wilcox County, Geneva City, and Russellville City school districts to $9.5 million in Mobile County. Averaged across the 82,355 students with disabilities, local school districts spent just under $1,100 in local tax money per student with a disability. Those expenditures take into account teachers, therapy services, bus aides, and all other expenditures reported to the ALSDE by school districts as being related to special education. School funding certainly is a problem. Alabama lawmakers haven’t provided full funding for the state Foundation Program, which provides money for all students in public schools, in years, though they came close in FY08, eight budget years ago. Lawmakers haven’t promised full Foundation Program funding for FY17, though State Superintendent Dr. Tommy Bice is hoping lawmakers agree to a multi-year plan to fully fund the Program. With money as the problem, special education and civil rights attorney James Gallini believes lawmakers are missing an opportunity to help schools fund services for children with special needs by not mandating insurance coverage for needed therapies and services. SB224, filed last week by Sen. Gerald Allen (R-Tuscaloosa), mandates insurance companies cover certain therapies for children with autism, but only up to age nine. The Autism Society of Alabama has launched #autismmatters to push for insurance coverage for autism-related services, particularly for young children. Gallini said lawmakers are giving insurance providers, including Blue Cross and Blue Shield of Alabama, a pass by not mandating coverage for a wider range of services and diagnoses and for children regardless of their age. SB224 has been assigned to the Senate Banking and Insurance committee, but no word yet on when the committee will consider the bill. Peshek said giving parents ESAs allows them to make better economic choices in how education dollars are spent, further explained in this document outlining ESAs (though the online version is outdated and different than the one shared with attendees). The document states that parents have an economic incentive to be more careful with education dollars because they can save up to $2,000 each year to put toward higher education costs. Gallini, who works not only with parents of children with disabilities but also holds conferences for special education teachers and other providers, said he sees problems down the road for public schools hoping to attract professionals to work in special education. “We already have a shortage of teachers in special education,” he said, and if the private marketplace becomes a better, less bureaucratic place for professionals to work in special education, those professionals will likely leave the public school system, making it even harder for schools to hire and retain special education teachers. Will It Help Families and Children? Johnson said that superintendents have told him they’re having a hard time educating children with dyslexia and autism, and that many parents are unhappy. Johnson said he had heard from a teacher in a specialized school who believes this is a “godsend” for parents. He said parents want to get children into a school “where they can get caught up and maybe come back to public school, but they’re so far behind they’ll never catch up where they currently are”. As part of a year-long look into the state of special education in Alabama, the Alabama School Connection has compiled plenty of numbers to show how poorly many children in special education are faring in Alabama’s public schools. Gallini said while he sees an immediate benefit for families of students who have access to additional financial resources and who are ready to abandon the public school system, he is concerned about parents who may be willing to take the money but might not have access to the types of services students with disabilities need to continue to keep them moving forward educationally. Many private schools do not accept students with disabilities, and are under no federal mandate to do so. 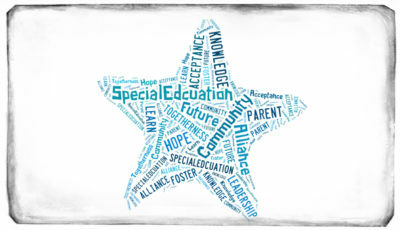 When parents leave the public schools, they lose access to rights afforded their children under the Individuals with Disabilities in Education Act (IDEA), the federal law authorizing and mandating that children with disabilities receive a free and appropriate public education, also called FAPE. Gallini, who has a child with autism, said the types of services needed by children with autism, including occupational therapy, speech-language therapy, and behavioral therapy are far more expensive than the $5,000 offered through an ESA. Even though the federal government only provides a fraction of what it costs to fund special education, Alabama shouldn’t push kids out the door to save money, Gallini said. “Isn’t it a tragedy that we just want to to write a check, ” he asked, rather than doing the hard work needed to improve our public schools in the area of special education. This article from Arizona’s parent training and information center cautions parents to do their research prior to entering a contract with their state department for an ESA. Some parents find the requirements for managing the day-to-day responsibility for educating their children difficult, and 25 percent of 761 students who participated in the ESA during the 2013-14 school year returned to public schools the following year, according to the ASU Morrison Institute of Public Policy. That same policy institute published a guide for parents of children with disabilities to understand the tradeoffs involved when deciding to use an ESA to pay for their child’s education. Arizona’s law is similarly structured to HB84. Pouncey is worried about the time that is lost when parents sign up for an ESA and then change their mind. “What happens to the kids whose parents take the money and then find it’s just too hard to put together their own education program for their child? They come back to the public schools, and then we’re worse off than we were before” having lost time to work with students in our schools, Pouncey said. The public hearing starts at 1:30 p.m. on Wednesday. If technically possible, the Alabama School Connection will live-stream it on Periscope. In actuallity this bill is for ANY child….On page 2, line 8 is the definition of Eligible Student. It is divided into an a. and b. The groups of students you mention are UNDER a. (There is a 1., 2., 3., and 4.) but, UNDER b. it simply says: b. Except as provided in subparagraph 2., attended a primary or secondary school in this state during the prior school year. I believe this is a very dangerous bill.